I know someone whose religion is a collection of curiosities from across the landscape of world traditions. A little of this and a little of that, thrown together in no systematic or reasonable way, but still very personal and meaningful as far as it goes. If you were to ask this individual what it all really means, he could give you a general description of the various sources – the cultural quarries and time periods represented – but what it all means, that is to say, what all of it together means, might not be obvious even to him. More and more people are opting for this “private collection” kind of religion these days. They have given up membership in one of the “classical” world religions and probably don’t attend worship anywhere on a regular basis. Next to the Bible on the coffee table you might also find the Tao Te Ching, a book of Toltec teachings, and today’s horoscope. They prefer this to the nervous and narrow-minded dogmatism that can be found in a growing number of “nondenominational” Bible churches across the country. In claiming to be nondenominational, these independent churches are separating themselves from the Christian brands that got their start as branch-offs of reform and reaction, many of them going back 400-500 years when late-medieval Christianity was petering out and becoming culturally irrelevant. But now these Reformation traditions (Calvinist, Lutheran, Baptist, Methodist) are themselves showing signs of recession. What may have once been anchored in a supernaturally supported worldview is starting to require more “devotion” and intellectual sacrifice to keep it going. The Bible Church movement is an attempt to dissociate from something seen as sliding away and losing currency, kind of like cutting the line to a sinking ship that is threatening to pull you down. Our present-day Evangelical Right is the political arm of this same counter-cultural invention. It presents itself as conservative, as promoting a campaign to recover and preserve the original intellectual and moral foundations of Christianity, our true heritage as a nation. But it’s not really conservative at all; instead, it’s self-inventing. This particular brand of contemporary Christianity is driving many people out of the church today. As it rapidly loses rational integrity and emotional resonance, individuals who still desire a worldview that makes sense and connects to everyday life are silently slipping out the back door. They seek a spirituality that is culturally engaged and intellectually satisfying, one with contemplative depth and aspirational focus. And since they’re not finding it in the competitive marketplace of existing religions, they are putting one together for themselves. A little of this, a little of that: a collection of historically diverse ideas, rituals, odd parables and other curiosities. Perhaps the most attractive thing about these homemade religions is that they are personally assembled, intentionally practiced, and carefully evaluated for how well they “fit” the individual’s unique interests and situation in life. In a word, these religions are experimental. Perhaps it’s because the pressure of “getting it right” has been removed, as the other-worldly orientation of classical (and fundamentalist) religion loses favor to one that is more grounded in the here and now. If it is happening, I see it as an indication not of moral decline but of spiritual progress. More of us are seeking what Jesus in the Fourth Gospel called “abundant life” – not necessarily a life of abundance, but life in greater depth and fullness. Just in case our earthly lifespan is the only gig we get, we want above all to be real, authentic, sincere and caring in the way we choose to live out this precious nick of time. But I wonder what might be lost in this new age of grab-and-go religion. Without an understanding of the taproots that may once have anchored and energized with spiritual significance our collection of exotic curiosities, are we perhaps left with something of impressive scope but little substance? Are we just digging lots of shallow wells, when the living water we’re after requires a more committed, focused and sustained effort? 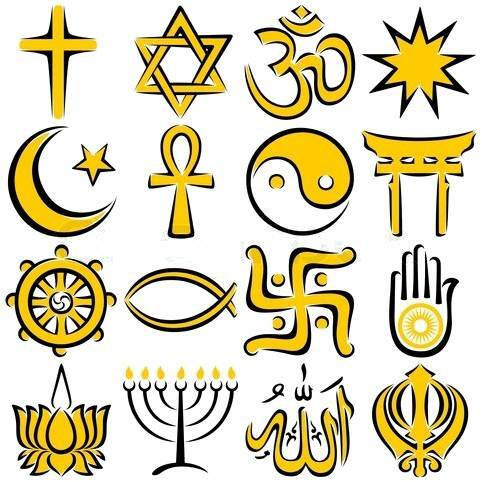 A particular religious symbol, myth or teaching has a history that falls off and drops away like dirt from an uprooted plant when we simply lift it out of the soil of its native culture. To the degree it has a mystical resonance with its primordial experience – not back (then) into the past, but down (now) into the present mystery of reality – any genuine expression of spiritual awakening and transformation must be timeless, that is, transcending the local conditions of historical context. It is always possible for a transplanted symbol to stir the soul and come to life. The recession of meaning today does not need us to invent something that never was, nor should we resort to scavenging for relics and borrowed wisdom from somewhere else. Irrelevancy is a signal – one commonly rationalized or medicated as a problem or pathology to be fixed – that announces the end of the world as we know it. It’s the apocalypse. Disillusionment is painful. Having our illusions of meaning stripped away and watching them slough off like flakes of old paint is unnerving, if only because you can never be sure how much of your comforting illusion will be left. What’s left after all is unsaid and undone is by definition meaningless, and if we are particularly attached to the meaning that is slipping away it can be very distressing indeed. That is another attraction of fundamentalism: As overcompensation for legitimate doubt it anesthetizes the pain of disillusionment with an excuse to stop thinking and asking questions. Maybe it’s also why the build-your-own religion solution is becoming so popular as well. As everything crumbles in around you, because yours is so personalized it just might survive the general apocalypse. But the good news is that there’s life after meaning, just as there’s life under meaning and life before meaning. The key is to ask better questions and stop settling for answers. There was a time – and you can’t really remember it because memory itself is narrative in structure and meaning-dependent – when you lived simply and nakedly in the present moment. That was before your tribe began pulling the veil (and not a little wool) over your eyes. You can go there now, without going anywhere at all. The present mystery of reality – and your only worthwhile invitation to authentic being and abundant life – is right here, on the other side of meaning.